After many months of strained negotiations with the owner of the Jose Cuervo tequila brands, Mexico's wealthy Beckmannn family, Diageo's Paul Walsh has finally admitted defeat. The attempted takeover has been shelved indefinitely. It was a deal that should have been sealed with a tequila slammer, but instead round of tequila suicides await at the bar (snort the salt, squeeze the lime in your eye). 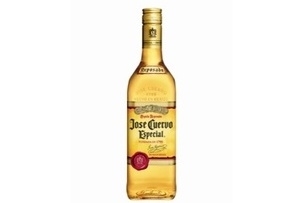 The $3bn takeover of Jose Cuervo by Diageo has been shelved indefinitely, following a breakdown in discussions. Diageo CEO Walsh has accepted the decision, but maintains it was a poor one: ''I have no doubt that Diageo has the best route to market for this brand,' he says. Indeed, Diageo and Jose Cuervo have enjoyed a lucrative partnership in the US for over a decade. However, the Beckmann family are keen to hold onto their investment. Diageo and its shareholders simply couldn't raise their bid any higher. Or, in management speak: 'It has not been possible to agree a transaction which delivers value for Diageo's shareholders and therefore, by mutual agreement, we have terminated our discussions,' says Walsh. Diageo's current contract with the Mexican brand expires next June. So what next for Diageo? A tie-up with Don Julio or El Jimador? An own brand? None of these can stand up to the mighty Jose Cuervo in terms of brand awareness, alas. Diageo is MT's Most Admired Company 2012. "You can achieve great things if you don't care who gets the credit"
A recent survey shows that nearly half of SME employees have quit their job because of a bad boss. Shona McCarthy, CEO of the Edinburgh Fringe Festival, on public failure, Brexit and calling yourself a leader.